It’s a busy time of year, special holidays around the corner to celebrate with friends and family, young ones running around shrieking with excitement during play; it’s hard not to reminisce on the joyous and carefree days we once experienced in childhood. What if we made a conscious effort to set aside time to momentarily forgo our grownup responsibilities and simply indulge in frivolous playtime? Put down our phones, forget the countless bills, stop rushing around, smile and simply enjoy ourselves and those around us? We invite you to reconnect with your inner child and find awe in this big and beautiful world full of wonder. 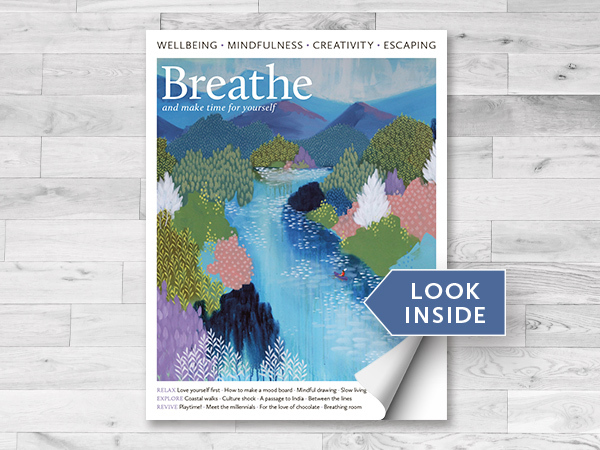 Enjoy the journey of each day, slow down, and as always, make time for yourself with the latest issue of Breathe.